The Micro Evolution One (ME1) may be the smallest speaker in TAD’s Evolution lineup, but don’t call it reductionist. This three-way reflex design arguably has more heart and soul than its larger Evolution Series siblings, the CE1 and E1. It shares common themes like the brilliant CST (Coherent Source Transducer) in a smaller 3.5" version, plus a woven Aramid bass driver, and the sonically undetectable bi-directional slotted port, otherwise known as the Aero-Dynamic Slot (ADS). Micro in name only, the ME1’s sonics are high-energy and potent beyond the speaker’s modest footprint, with admirable symphonic scale and soundstage immersion well beyond the norm for a speaker of this size. The star that rivets a listener’s attention, however, is the coaxial midrange and beryllium tweeter, which offer uncommonly transparent and precise imaging, and goose-pimple-raising musical minutiae. What is unexpected is the linearity of bass output and a bare-knuckle dynamic thrust in the power range that will shock even the staunchest large-speaker fans. 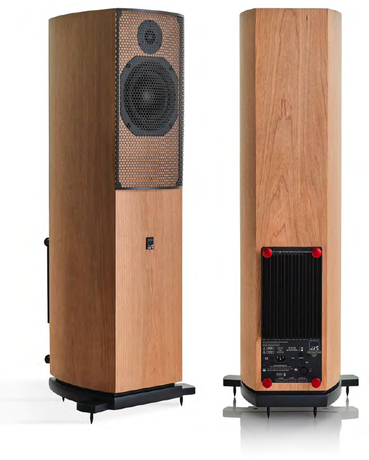 If memory serves, the SCM19A is the first fully active loudspeaker to receive a GE Award. It’s high time, too. The “active” segment remains a relative rarity in the high end—a breed more likely to reside in recording studios than in the listening rooms of audio sophisticates, who often prefer component “mixing and matching” to active designs where all electronics and transducers are optimized for each other. Having reviewed ATC’s passive stand-mount version (same internal volume), I found the active version is really far superior. This two-way, acoustic-suspension, bi-amplified/electronic crossover floorstander is neutral through the broader midrange and presence range. But in comparison to the passive version, the key differences are the 19A’s improved imaging, almost point-source-like coherence, three-dimensional immersiveness, and low-end control. The sound is more densely filled with ambient cues and the orchestral soundstage more fully grounded; plus, there is a broader and more colorful palette of timbre and texture to draw from. The SCM19A is a stronger, more muscular version of the passive SCM19, as if it had spent the last few months at the gym. Expensive for a two-way? Not when you factor in the active elements. There is no reasonably priced two-way loudspeaker that I can recommend more highly. The Lumin A1 network player has been my go-to net player since I reviewed it in Issue 248. It did everything I wanted a digital component to do. It pulled audio files from external digital sources like my NAS; it could handle a multitude of formats including 32-bit/384kHz PCM/DXD, as well as standard DSD; and it offered Tidal support. Then Lumin dropped by with its flagship, the S1, and all bets were off. Although the S1 is virtually indistinguishable from the A1 on the outside, pop its hood and the damning evidence presents itself in the form of four ESS Sabre 32 Reference DAC chips (16 DACs per channel in parallel). 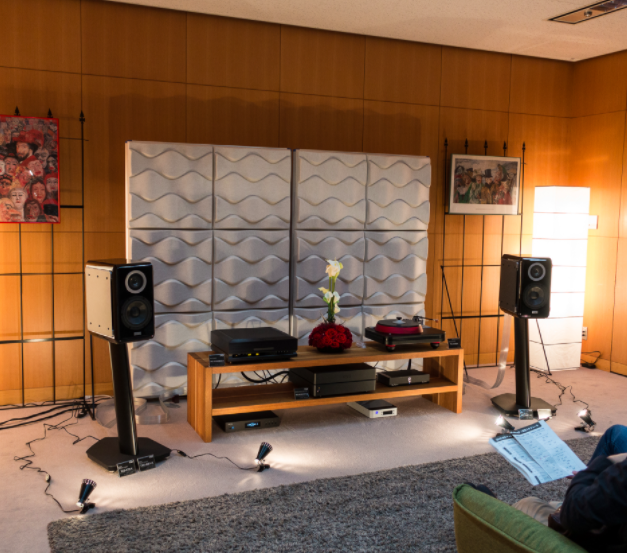 Every part of the system was tuned to complement the new DACs, including a revised clocking system, an enhanced external dual-toroidal power supply, plus dual Lundahl LL7401 output transformers; the S1 also added DSD128 support. Sonically, it has a warmer, weightier, more open, airy sound (and that’s saying a lot next to the A1). Bass was well nigh pitch-perfect and rich in complex textures. Upper harmonics and decay characteristics were more naturally resolved, and perhaps most telling was the even more richly dimensional soundstage. The S1 draws the listener closer to the recorded event than ever before. According to my Greek mythology crib notes, Phaethon was the son of the sun god Helios. A fitting label, since Ypsilon, the premium, near-mythic Greek electronics manufacturer sought to graft electronic DNA from its flagship Aelius monoblocks and PST-100 mk2 pre into its sole integrated amp. The result is a 110Wpc, hybrid, line-level preamp and pure analog amplifier that uses only three active gain stages—two of them with low-noise 6H30 valves operating in Class A for the input and driver stages. 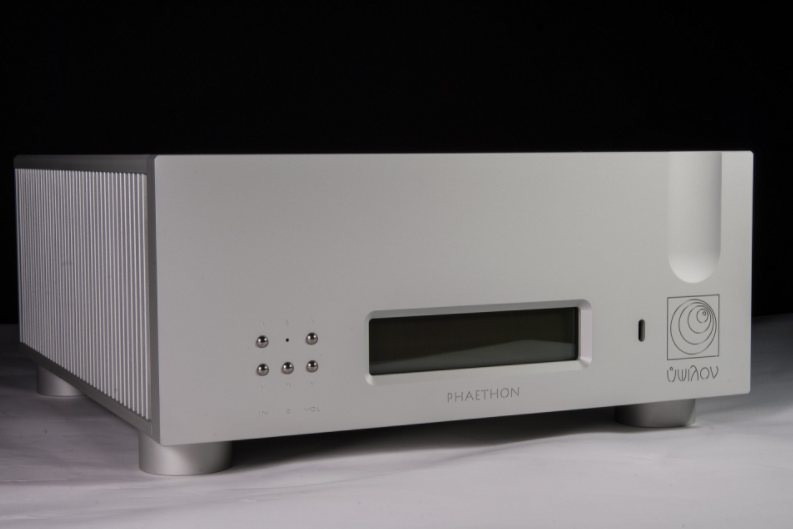 The Phaethon also features a unique in-house-built transformer attenuator. But specs alone don’t explain the alchemy I’m hearing. I’ve noted some pretty sumptuous feats of engineering in this elite segment, but few have captured the earthy sense of “being there” like the Phaethon. It does this with wide color and velvety textural contrasts, micro-detailing, as well as vise-like grip. Construction is Herculean—seventy heroic pounds of satin-finished aluminum and heat-sinking that would take the demi-god himself to lug up Mt. Olympus. Includes a remote control, plus four inputs with a standard 47k-ohm phono. I’ve been using the smaller six-outlet version of the Audience TSSOX for a few months and I just can’t seem to quit this thing. I’ll admit that I’ve never been a dedicated fan of this segment. But the Audience suggests something different. Backgrounds are indeed quieter but not airless and dead, as in “digital” quiet. Music emerges from the acoustic silences and natural pauses with a continuousness, an unbroken linkage to those interludes. The tonal character of the system doesn’t change, but the sound is more focused, images more polished and individuated. And this is prior to swapping out the standard powerChord SEi and replacing it with the Audience’s advanced (and, oy, priciest) Au24 SX powerChord. Though not an order of magnitude dissimilar from the standard SEi cord, it clearly reveals yet another layer of music and dimension. Images grow even more direct and transparent, and there is further expansion of the ambient aura. I find the differences compellingly musical and addicting.